Established in 1839 as the Oxford Preparative by Fallowfield Monthly, this meeting was added to the Pennsgrove Monthly in 1842 and its name changed to Homeville Preparative. 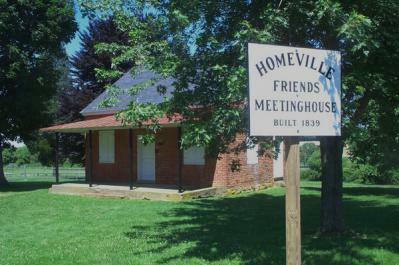 Meetings were held in the log schoolhouse at Asa Walton's in Colerain township in Lancaster County until 1839 when the small red brick meeting house in Homeville was built. A burial ground is located next to the meeting house. The meeting was laid down in 1917 and the members attached to Pennsgrove Monthly.